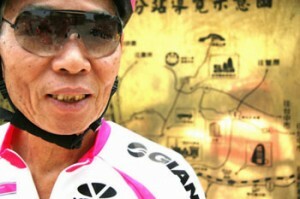 "King Liu, the 75-year-old co-founder of Giant Bicycles, will set off on May 9 to ride from Beijing to Shanghai. He aims to complete the 1,688-km trip in 20 days, though he admits it may be tough to keep up with the necessary 80km/day pace required. King Liu is no slouch, though. In 2007 he completed a 927-km ride around Taiwan in 17 days.